Behind a lemon-yellow façade, set on a quiet, pedestrianised corner brightened with clusters of bright flowers, this Irish-run hostelry is a real home from home. It’s pretty pub-like in feel, but the Swan is also rated for its food (salmon and dill fish cakes, roast wild pigeon breast). Drinkers are taken care of with Sharp’s Doom Bar and guest ales, and tap lagers that include San Miguel and Peroni, plus a seasonal wine list with a dozen or so choices by the glass. In the wood-panelled interior, two areas – one for dining and drinking, the other just for drinking – are divided by a professionally staffed bar. Diners are treated to bright, tasteful images of Paris by Tim Johnston, drinkers to a fire and sofa seating arrangement around a flatscreen TV. There’s also a small outside plot at the back, and festival tables at the front. My family and I went to The Swan Chiswick and ordered the lamb roast and we were sorely disappointed. In spite of raising our concerns over the reheated, hard, inedible cooking of the potatoes and Yorkshire puddings. The Landlady agreed that the food was of a poor quality. However, her excuse was ‘that it was the end of the harvest and she was going to see the supplier.’ This comment added insult to injury and then she charged the full amount for both meals and tried to placate us by giving my sister a free meal. So folks DON’T GO AND EAT AT THE SWAN CHISWICK save your money as there are HUGELY better restaurants elsewhere. 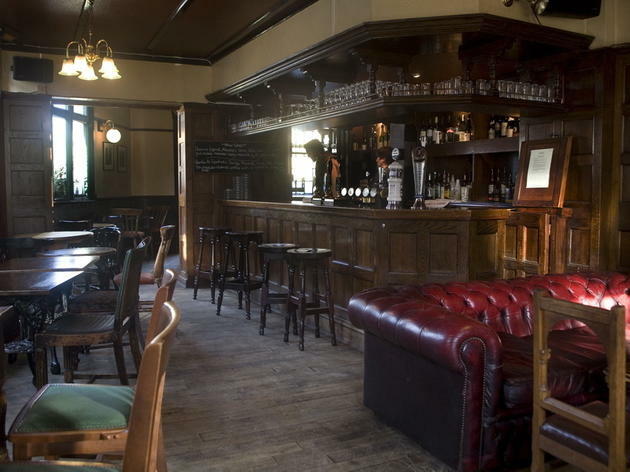 Hands down the best pub in London! Friendly staff, food to die for, and wine that will tickle all taste buds. Great ambience - warm and inviting inside, and a buzzing beer garden out the back. 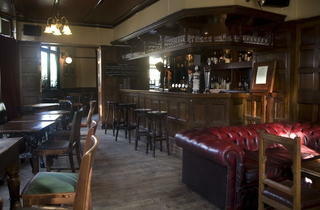 Perfect pub for a cosy dinner in winter or a Sunday afternoon session in summer. Awesome pub. Great staff. Great food. And the manager is a hoot. Beer garden on a sunny day beats all in London. A great hidden gem. A fantastic pub, laced with original Victorian features. Its cosy atmosphere, friendly service and excellent seasonal menu make it the perfect choice whether it's a special occasion, a quick pint after work or a casual dinner date with friends. Comfy leather sofas and a log burning fire will warm your boots as the nights draw in, whilst the large beer garden and fairy lights are the perfect accompaniment to long hot summer days. the garden is superb. a real treat in the warmer months of England. Great cooking and great friendly bar staff. Great pub, great staff, what else do you need? My local. Good food, good attitude and a great pub garden. Love this place, great food and atmosphere. A must for any pub lover. My favourite pub in all of London. Sundays are heaven here - quality food and magnums of red wine!! Food amazing....staff brilliant, friendly and knowledgeable - they really want you to have a good time. Fabulous wine list. This place is great in any season. Friendly staff and great atmosphere. Love spending time over a great meal in great company. My favourite little gem of a pub with friendly international staff. Never a dull moment in the Swan. Staff are fabulous and food gorgeous..... Perfect pub to enjoy a Sunday lunch on a cold winters day or a summer salad in their huge beer garden. Great team, Great food and Amazing Garden. The Swan! It's almost like a club or a secret society... I fear I am betraying some oath by writing this review. Where to begin? Wonderfully classic decor, couches by the fire in winter, a garden approximately the size of Wales in the summer, just the best local crowd on the weekend, and a perfectly serviceable set of taps. I haven't been for a few months but the ''seasonal' menu could probably keep better pace with the actual seasons. If you aren't going for food, then this is a five star review. Pretty dismal affair. Hard to discern which was worse; the food or the service - or perhaps the rude manager? I live locally and this place isn't a scratch on the Duke. The Swan has a vast leafy and lovely garden out back, not a small plot !! Lovely friendly place and great sunday lunch On warm summer evenings outside , its like being in Greece. great.